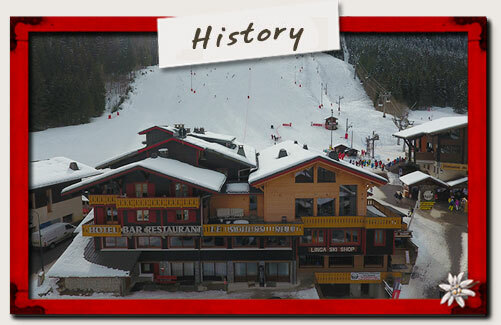 The Hotel Le Schuss is marvellously situated at the foot of the Linga Ski run, access of the french swiss ski domain (Portes du Solieil). The ski lift at 10 mètres (departure for the french swiss domain). Sale ski pass at the level of ski lift. Free bus schuttle to return to the the village center or others departures for the ski runs. Warm and familial atmosphere, quiet and exceptional location making this hotel the ideal place for your mountain holidays. A free outside parking or a covered garage for 6 € per day. Animals are welcome for 8 € per day. Standard room 20 m² to welcome 1 to 3 persons. Mountain room 20 m² to welcome 1 to 3 persons. 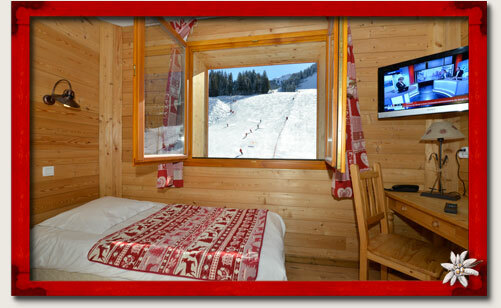 Vue piste room from 20 m² to 42 m² to welcome 2 to 6 persons. All our room are revamped and furnished with shower, toilets, towels dryer, hair dryer, flat tv screen, safe and wifi internet free access.